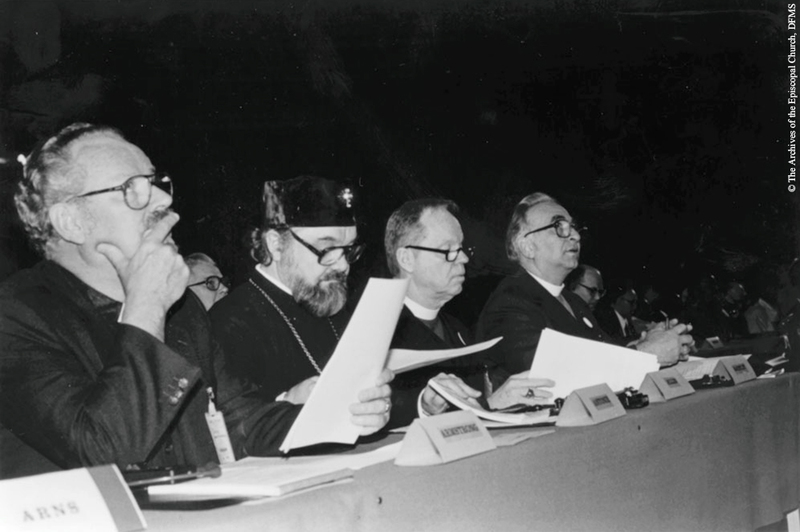 Allin attends a plenary session at the 1983 Life and Peace Conference in Uppsala, Sweden. Participants came from all over the world to discuss the problem of nuclear weapons. “Allin At Uppsala Peace Conference,” Venture In Ministry: John Maury Allin, accessed April 21, 2019, https://www.episcopalarchives.org/jma-presiding-bishop/items/show/93.